When was the last time you shopped for a vehicle? Whether you’ve clocked plenty of miles or are new to it all, the RoadLoans app can make the experience fast, simple and hassle free. Simply downloading the app to your iPhone places handy auto financing and car-shopping tools right in the palm of your hand; available to help whenever and wherever you want. Estimate a car payment – You don’t want to bite off more than you can chew, and the payment calculator enables users to gauge what an affordable monthly loan payment may be by setting loan amount, annual percentage rate, loan term and down payment with a few touches to the screen. – It doesn’t come much easier than this. 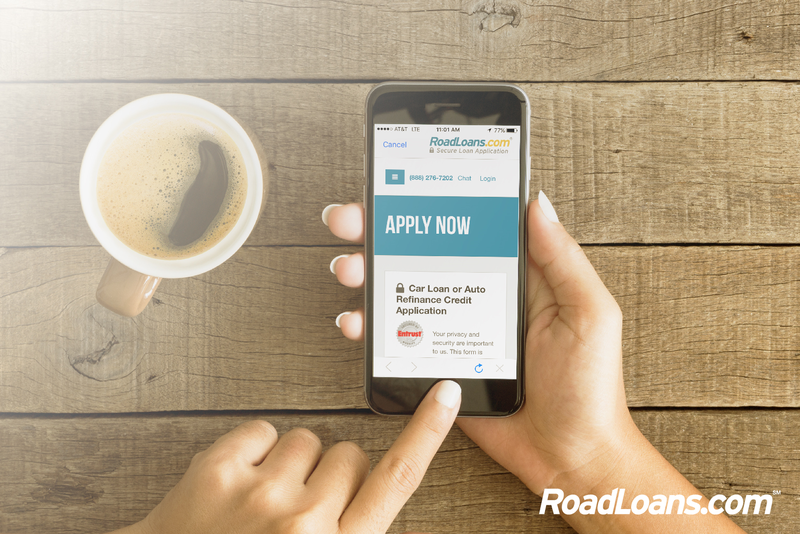 RoadLoans’ short, secure application takes a few minutes to complete and you’ll get an instant loan decision. Apply for a new or used car loan or to refinance your existing loan. All credit types can apply. – Knowing the retail or trade-in value of a particular used vehicle may help you stay in budget. There are three options here: scan the vehicle’s VIN with your phone to get more information about it; enter the VIN yourself; or select a vehicle by choosing year, make and model to get a good idea of its value. All data is provided by the National Automobile Dealers Association. – Tap in your ZIP code and see dealerships pinpointed on the map in your area. Tap an individual pin and you can home in on an address or give the dealership a call from your phone. RoadLoans works with a network of 14,000 dealers across the country with new and used vehicles meeting our requirements for quality and financing – and they’re all at your fingertips. Shopping for a car and the financing to go with it doesn’t have to be a headache; far from it. RoadLoans goes the extra mile to put you in control during the shopping process with convenient, easy-to-use tools that fit in your pocket. Visit RoadLoans’ iPhone app web page to learn more, watch the app video, and download the app to your mobile device. For more information about RoadLoans as a lender, you can read about us here.